Published: Sept. 23, 2018 at 04:45 p.m. Published: Nov. 26, 2017 at 05:44 p.m.
Arizona Cardinals quarterback Blaine Gabbert throws to tight end Ricky Seals-Jones for a 29-yard touchdown. Published: Nov. 19, 2017 at 03:21 p.m.
Arizona Cardinals quarterback Blaine Gabbert fires to wide receiver Ricky Seals-Jones for a 28-yard touchdown. 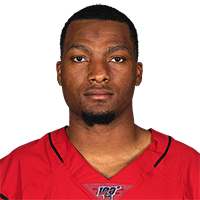 Published: Nov. 19, 2017 at 02:30 p.m.
Arizona Cardinals quarterback Blaine Gabbert throws to tight end Ricky Seals-Jones for an 11-yard touchdown against the Houston Texans.